Desirable Rivers Edge Association. 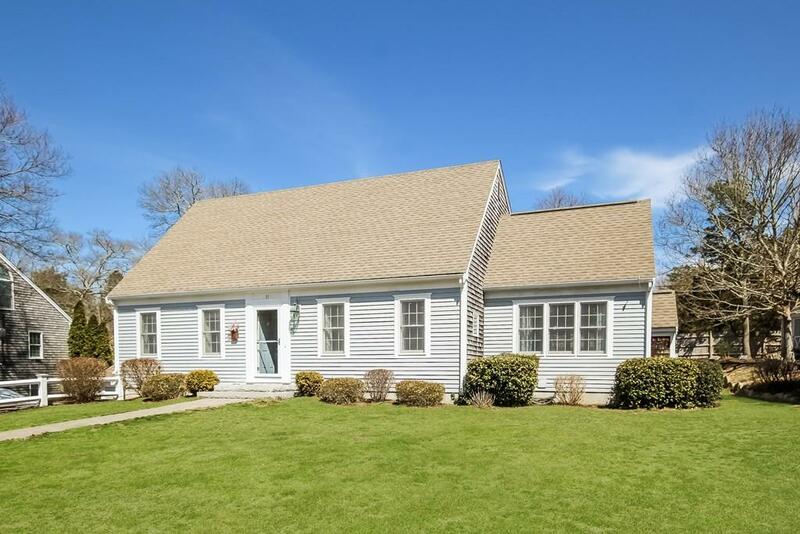 This tastefully decorated, Cape Style home is just what you've been looking for! A quiet presence, full of great spaces starting with the welcoming foyer, and into open concept living room, dining room and kitchen. Cheery and unique, the living room creates a spacious feel with the cathedral ceiling, gas fireplace and wood floors.The dining room area is the perfect spot for a large table and is open to the kitchen which features stainless appliances, soft close cabinets and drawers, granite counters and a marble topped island. French doors lead to the screened porch and to the well manicured yard. Choose a first floor master bedroom and bath or the second floor master bedroom and bath. Two other bedrooms and a full bathroom are on the second floor. Basement with finished area, and access to the two car garage. Neighborhood amenities of tennis and association boat docks await the summer.